July 8 | Popular Main Squeeze OC From Night Market Opens Brick and Mortar Store! - EAT WITH HOP! 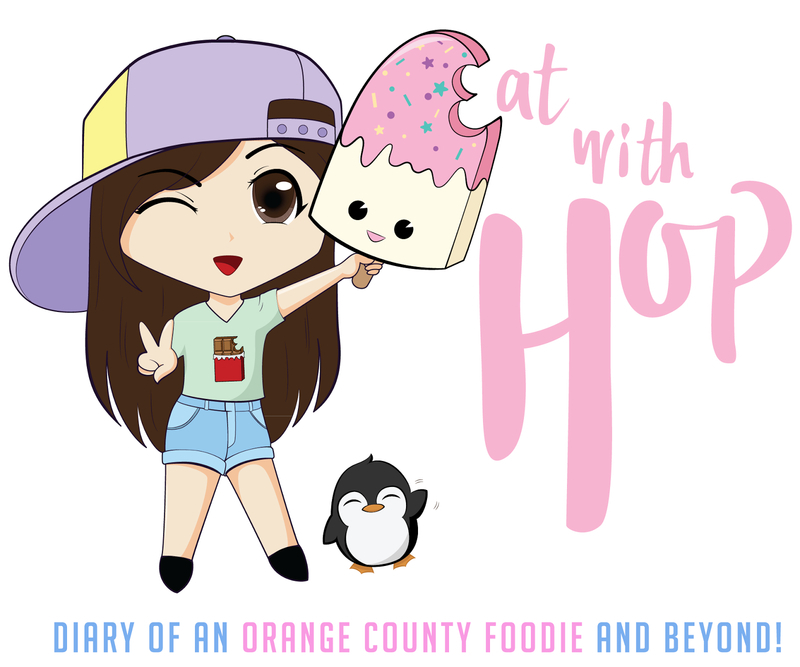 Home / BOBA / CA / DEALS / DESSERT / DRINK / FOUNTAIN VALLEY / ICE CREAM / LEMONADE / ORANGE COUNTY / TEA / July 8 | Popular Main Squeeze OC From Night Market Opens Brick and Mortar Store! If you have been to the 626 Night Market or the OC Night Market, you have probably heard of Main Squeeze OC! It's a widely popular drink booth that serves the night markets and events and known for their light-up cubes and mason jars. The drinks are also colorful and appealing to the eyes and the taste is refreshing and perfect for the summer! It's been quite a few years now since their debut as a vendor, and now Main Squeeze OC is finally opening a brick and mortar store! With more than just drinks! Main Squeeze OC not only sells drinks at their new store in Fountain Valley, but they serve soft serve ice cream as well with a variety of toppings and creations! 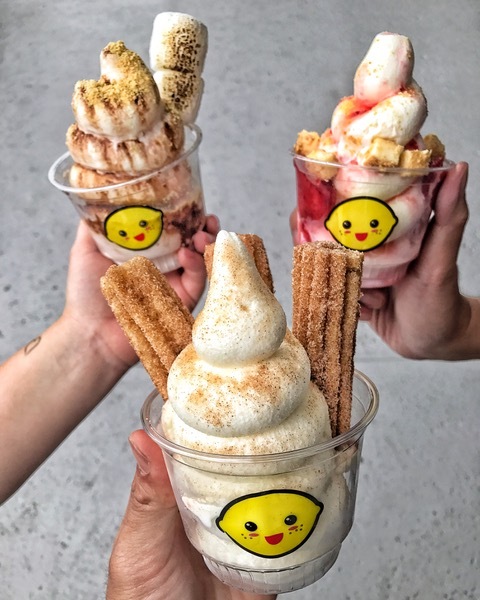 They have churros you can add to your ice cream or torched s'mores! Yum! when I went yesterday, the flavor was matcha! Although I wouldn't consider it matcha at all... and more like green tea.... reminded me of a very light green tea ... like Teazone / Lollicup. First 100 people will receive free Main Squeeze merchandise with their choice of iPhone 7/7s case or Dad cap and with a free mason jar with every drink purchase!